DJ, drinker, bad puppeteer, steampunk ragamuffin/superhero with a light sprinkling of drag queen, overgrown wayward orphan, and future wicked witch. I came across it in my work as a DJ. Vernian Process sent me a demo CD in 2005, and labeled his all instrumental music at the time "steampunk." He was the only act I knew of doing so. I tried looking it up, but could only find information on the writing style. But, I really liked it so I was intrigued. Since I was a DJ, I approached from a musical perspective first. When we first started doing the Clockwork Cabaret, it wasn't defined as a genre at all. We were making it up as we went along, which was great, because was a way of incorporating a huge chunk of my music that didn't fit within goth or punk. As a subculture, I loved how it incorporated so many of my interests, and allowed me a playfulness and a freedom of expression I wasn't getting from goth anymore. Plus, I was able to reuse all my fabulous Victorian outfits, and baby, I look great in a bustle. Like all great things, it starts with a glass of gin. It gets a little hazy after that. I've always found spite to be a great motivator. I've thought about quitting the Clockwork Cabaret several times, especially after I lost two of my co-hosts, but there wasn't another funny, music based steampunk program out there. I don't care for my steampunkery to be too serious, or too sternly defined. We aren't re-enactors; we don't have a Very Strict Set of Rules that we have to follow. There's a basic premise: the 1800s, and you can build your own world from there. 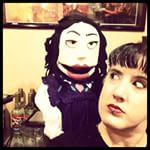 We're in the midst of filming Lushington's Lounge, a Victorian cocktail drinking show with puppets. It's wonderful and terrible all at once, as most Victorian era drinks are disgusting. 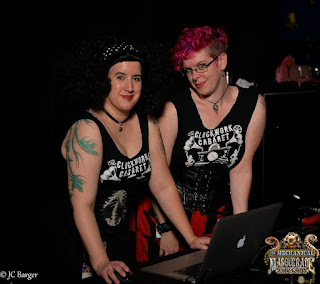 Lady Attercop and I be returning to Dragon*Con this year to DJ the Mechanical Masquerade with DJ Doctor Q, as That Darling DJ Duo, and I'll be handling the music for the Saturday night Burlesque Show. I may be on a few panels as well. If not, stop me in in a hallway, and ask my opinion on something. I'll be happy to give it to you. D*Con is always a blast, but right now, all I can concentrate on is how much we still have to pack. (Oh God! I'm not packed AT ALL!) 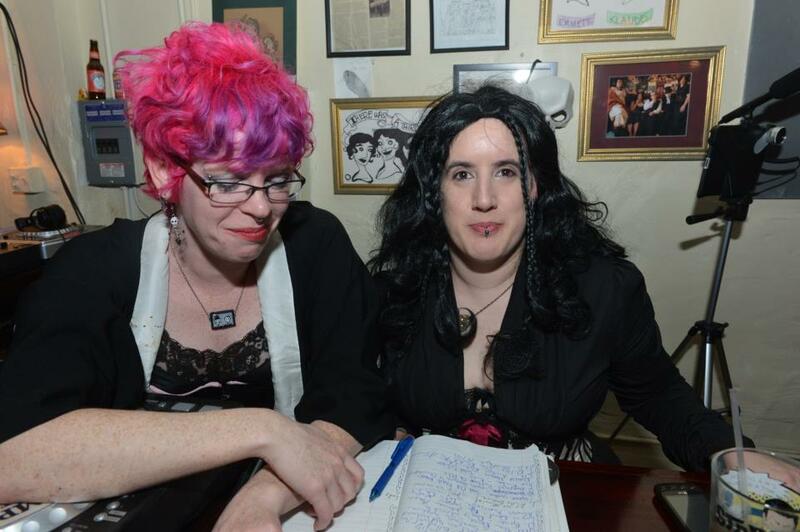 The Clockwork Cabaret, is ongoing, as always. January marks its 8th year on air, and there's no stopping us now! 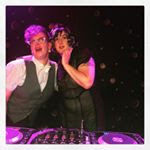 Especially since the Clockwork Cabaret has picked up for syndication by a startup neo-Vintage internet radio station called Soiree Radio. Just because there's a gear on it, doesn't make it steampunk. A hat will always tie a good outfit together. Don't buy anything off the back of a truck. And most importantly, no one can tell you how to play make-believe. Except me: buy a t-shirt.